Should a Mezuzah be placed in the foundations of a new house? If no, why not? A few contributors have explained that the mitzvah of the mezuzah is accomplished by respecting the correct position on the door post. No. the Torah says the Mezuza belongs on the doorpost. A Mezuza belongs on the doorposts - on the top third of the right-hand-side when walking in - and only once the house is ready to be lived in. 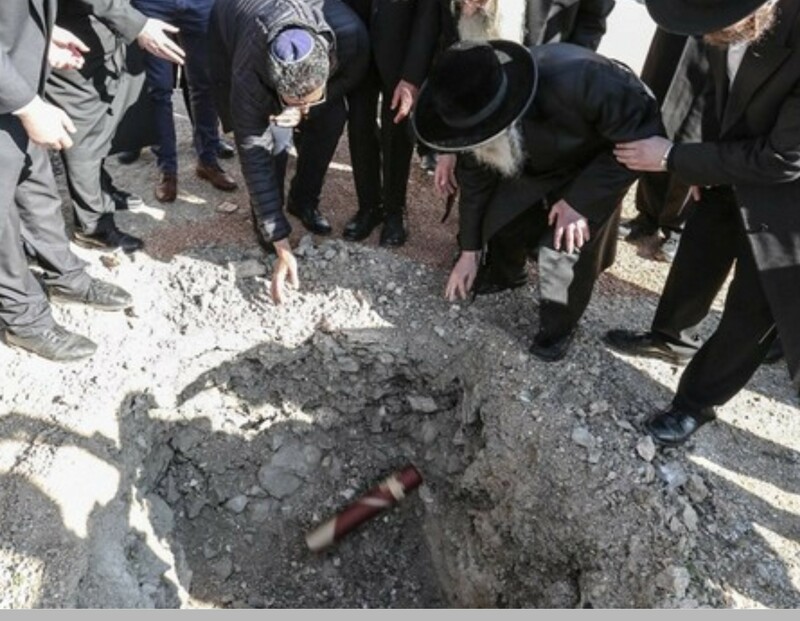 Putting a Kosher Mezuza in the foundations would be problematic since a Mezuza has holiness and burying it in the foundations is not a respectable place for it. The metaphysical benefits of a mitzvah, can only be attained when the mitzvah is performed correctly. In Jewish law, the place for the mezuzah to be placed, is on the doorposts of our dwellings, not embedded in a building foundation. Halacha mandates that the mezuzah is to go on the doorposts of one's home, as it specifically requires in the Torah (Deut. 6:9; ibid. 11:20). There is no mitzvah to put a mezuzah in the foundation. Not the answer you're looking for? Browse other questions tagged halacha mezuzah . Where exactly should the amud be placed? What to do while the mezuzah is being checked?